President Mikhail Gorbachev was negotiating for the Chemical Weapons Convention. This treaty was supposed to destroy chemical weapons of the world and ban new ones. The Moscow institute that developed chemical weapons at that same time was secretly developing newer and greatly more toxic ones known anecdotally as â€œNovichokâ€ and new binaries. Dr. Vil Mirzayanov, a scientist there, was responsible for developing methods of detecting extremely minute traces in the environment surrounding the institute. He decided this dangerous hypocrisy was not tolerable, and he became the first whistleblower to reveal the Russian chemical weapons program to the world. His book, State Secrets, takes a startling detailed look at the inside workings of the Russian chemical weapons program, and it tells how the Russians set up a new program in Syria. Mirzayanov's book provides a shocking, up-close examination of Russia's military and political complex and its extraordinary efforts to hide dangerous weapons from the world. 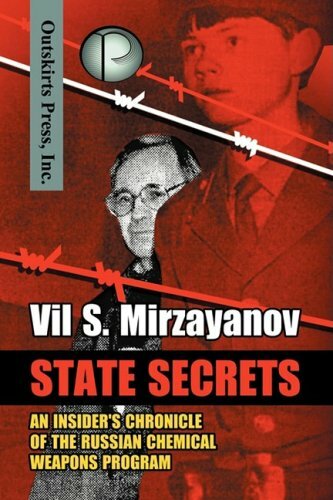 State Secrets should serve as a chilling cautionary tale for the world over.